Alain Bi Doh (@AlainDohBi) is a blogger and a civil engineer. He is known for his anti-government blog posts, critical of the post-civil war administration in Ivory Coast, denouncing human rights abuses. 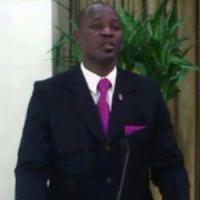 He was arrested by Ivorian Intelligence services on 14 November, 2012. His wife was not allowed to visit him at a prison located in Cocody in Abidjan. He was later released on November 20, 2012. The arrest of Mr. Doh, the first of an Ivorian national in relation to opinions published online, has prompted international condemnation. After his release Mr. Alain Doh Bi said that his work equipment had been confiscated by the Ivorian intelligence services according to Internet Without Borders.